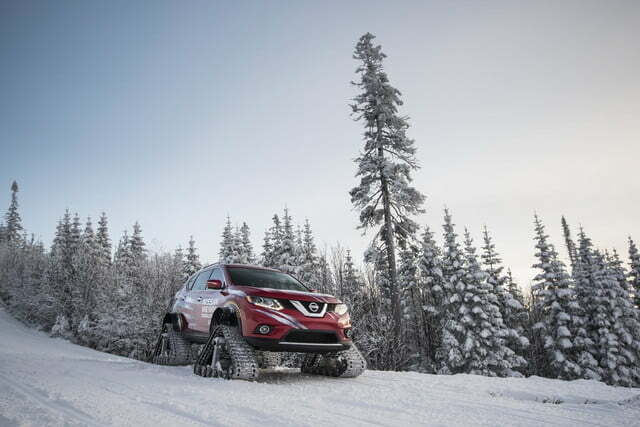 At the 2016 Detroit Auto Show, Nissan conquered the dusty trail with its menacingly tough Titan Warrior Concept. 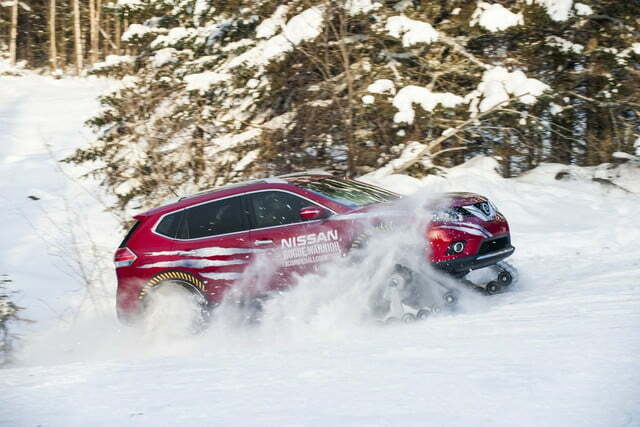 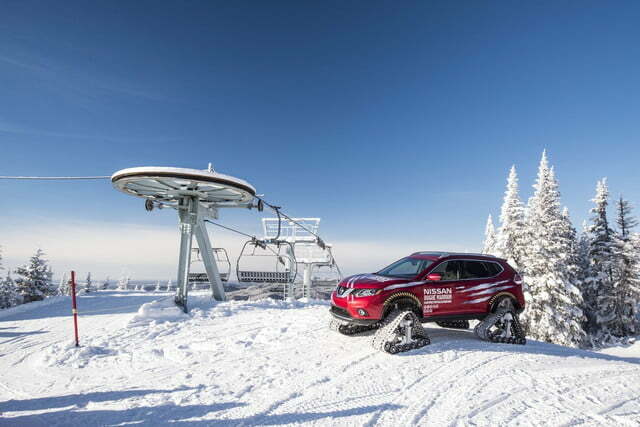 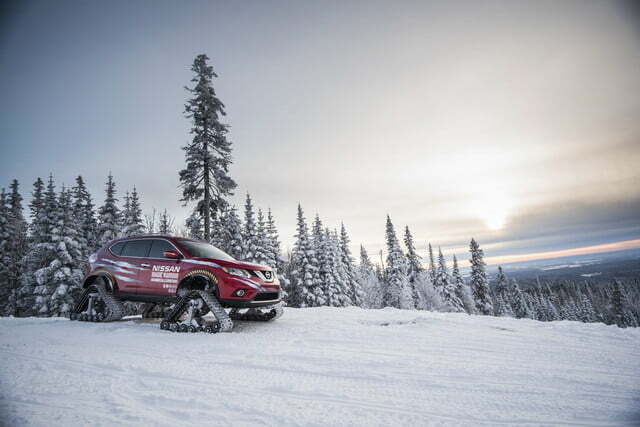 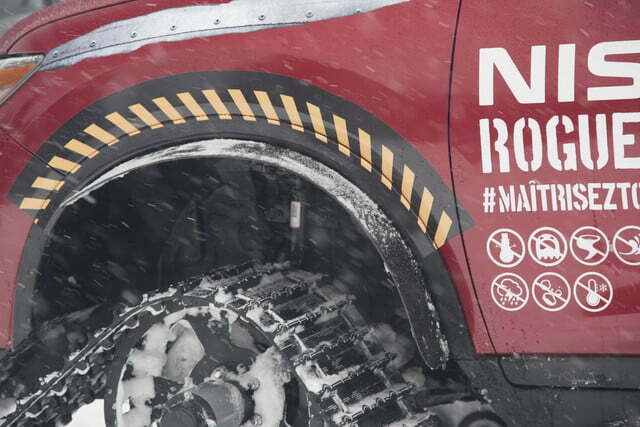 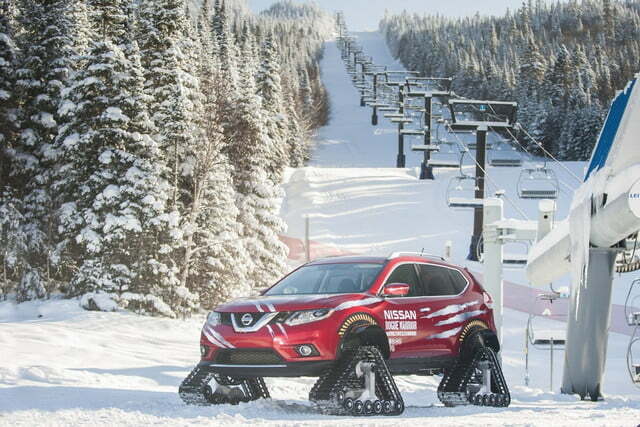 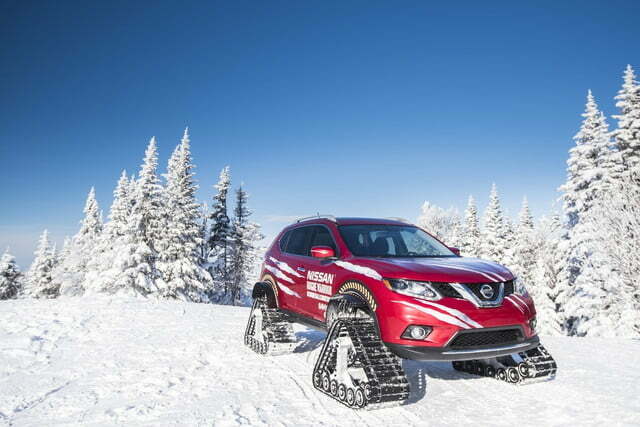 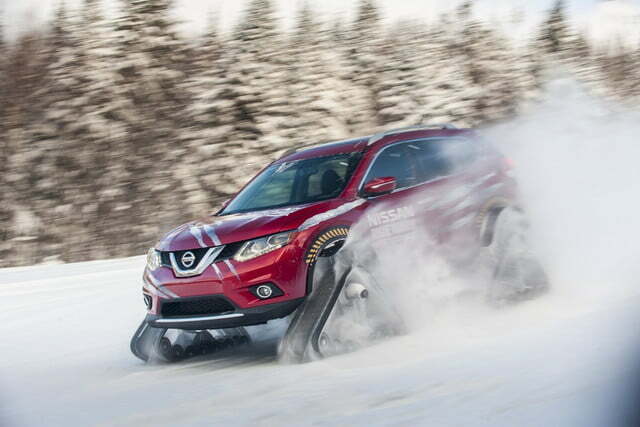 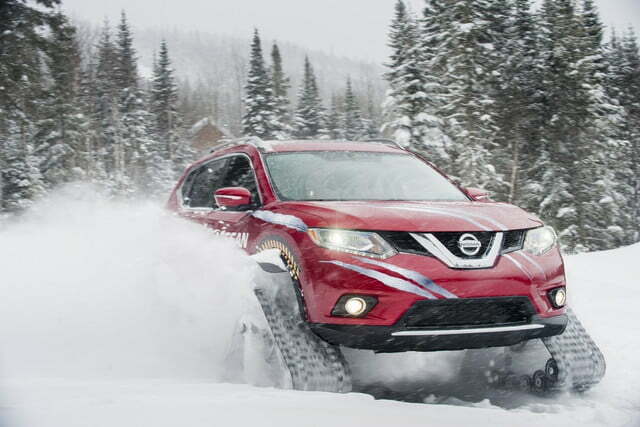 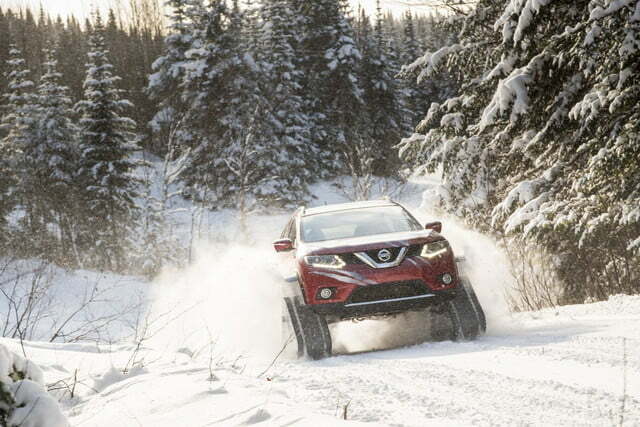 Just days later, the brand is looking to take over the slopes with a tank-like vehicle called the Rogue Warrior. 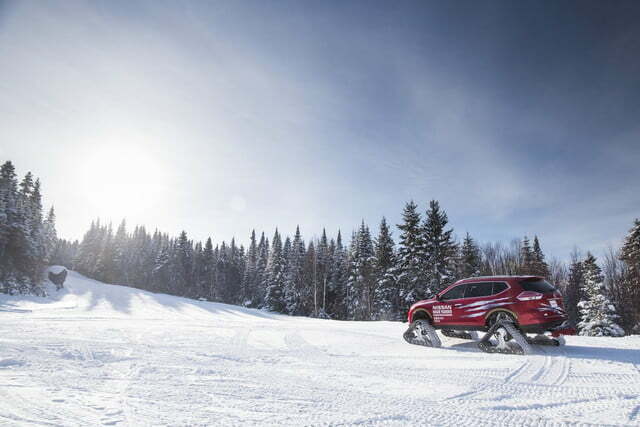 The one-off SUV gives a new meaning to all-terrain capable, as instead of standard wheels, it equips an aggressive snow track system appropriately called the Dominator. 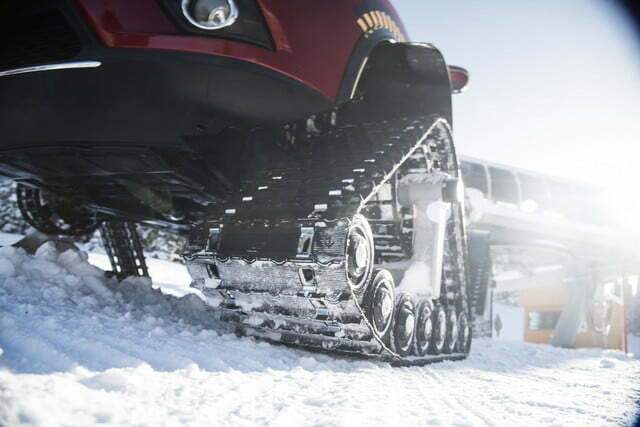 Its deep treads bite into snow and sleet with ease, allowing the Rogue Warrior to scale 45-degree grades, drive up to 62 mph, and send groups of skiers scampering into the woods. 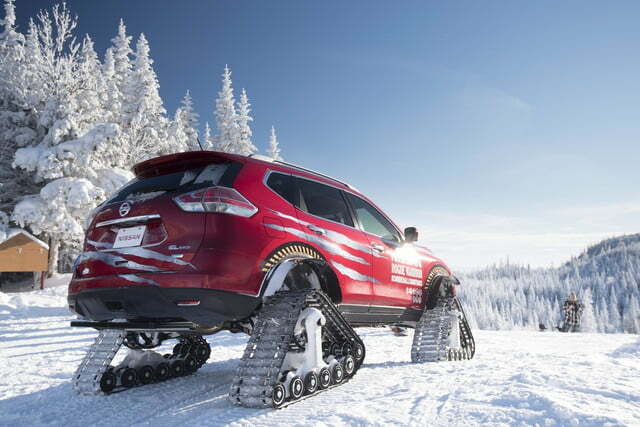 It also features a generous 23 inches of ground clearance. 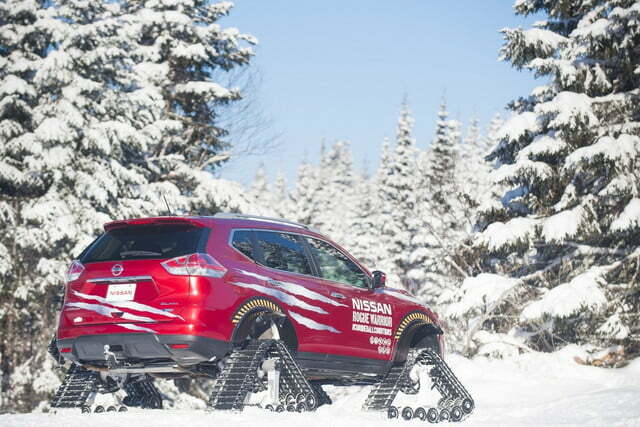 The concept is currently being showcased at the Montreal International Auto Show in Quebec. 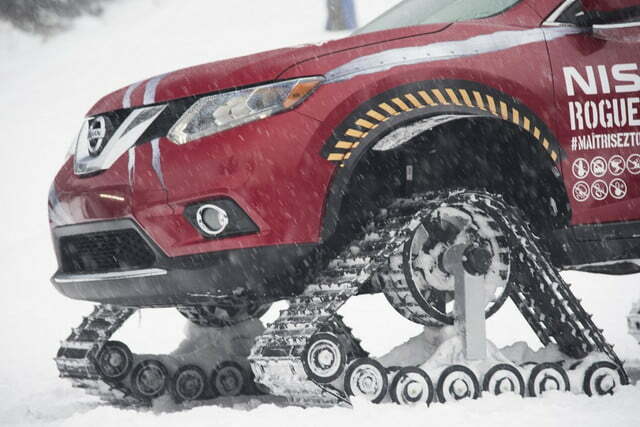 The Rogue Warrior looks like a marauder from a snowed-over apocalyptic future, but you’ll be surprised to know just how close to stock the vehicle actually is. 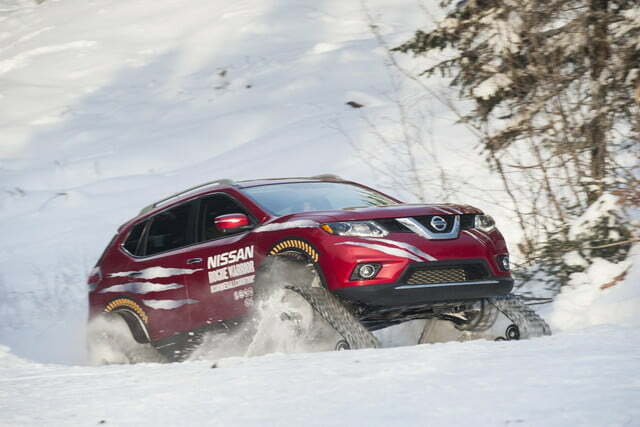 While the tracks, suspension, and enlarged wheel wells are all aftermarket, the Rogue’s engine, all-wheel drive system, and even the X-tronic transmission are unchanged from the factory. 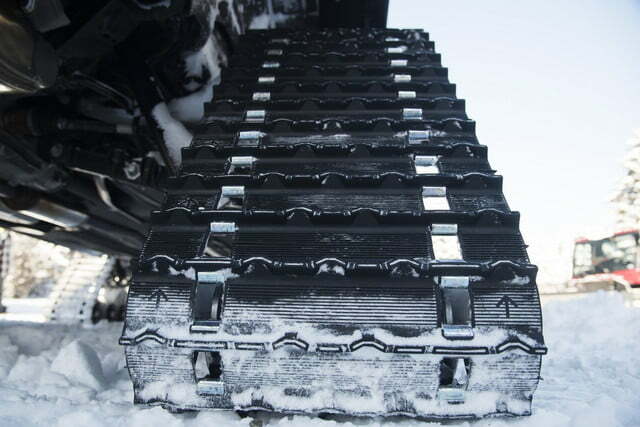 This is possible due to the Xtronic’s continuously variable design, as the lack of fixed ratios gives the powertrain much more flexibility to travel over a variety of surfaces at different speeds. 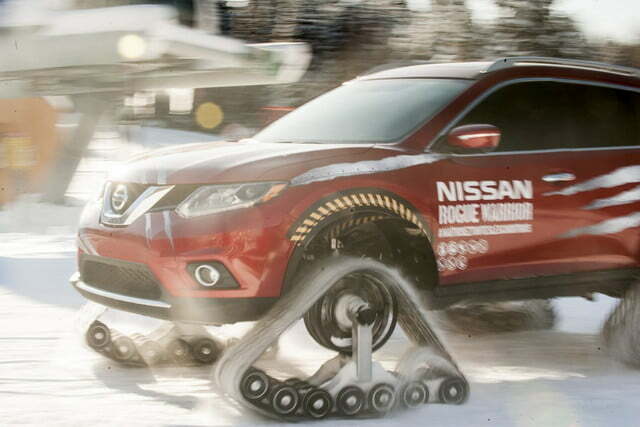 In theory, you’re always in the right gear at the right time, even at the summit.